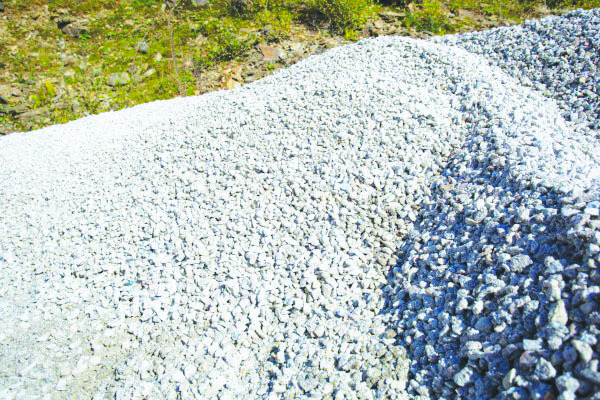 BEITBRIDGE – Village head Mark Muleya from Ward 6, Tshibidzanani under headman Mabidi in Chief Sitaudze’s area in Beitbridge has caused an outcry among his people after he demanded that they pay him $5 for every truckload of quarry stones they make from his area. The levy has frustrated elderly people from Makakabule Village who are contracted to supply quarry to Release Power Company, one of the companies working on the widening of Harare-Beitbridge Highway. Muleya has threatened to impound goats from villagers who do not pay the $5 levy. The villagers are paid $50 per truck load by Release Power and they in turn have to pay $5 or 10% of that to Muleya. Muleya claims that he wants to collect the money so that he can build a creche but what irks the villagers is that the money will be paid direct into his EcoCash account. Muleya confirmed the arrangement in a telephone interview with The Mirror and said he wanted to build a crèche so that children don’t walk long distances. Initially Muleya is said to have asked Release Power to release money into his account but his request was not entertained. One of Release Power company officials said the company cannot watch the villagers being prejudiced and would therefore arrange to pay the Village head. Beitbridge acting district administrator Kiliboni Ndou said she was not aware of the matter. Chief Sitaudze said he was not aware of the matter and he will do some investigation. “There has been a request from residents for construction of a creche and we asked every household to contribute R100 towards the purchase of cement. I also asked those who are supplying stones to Release Power Company to put in $5 per every truckload and they must comply because it is a community project,” said Muleya. Muleya is allegedly working together with his treasurer Raphel Sibanda and Thuso Dube to collect money from the villagers. “The village head is being unfair by demanding money that we are working for in order to earn a living. Some of the workers who got the piece work from Release Power are so old and they are only trying to erk a living. He threatened to impound our goats if we fail to pay the full amount by the end of this month,” said one of the contracted people who preferred anonymity.